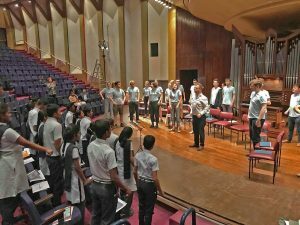 Director of Chapel Music Will Dawes writes about the Choir’s tour to India last December. From the moment I was recruited to be Director of Chapel Music at Somerville, I knew that I wanted to deliver a trip to India. We have such strong connections there through our past (Cornelia Sorabji, the pioneering Indian law student at Oxford, and Indira Gandhi are both alumni) and our present (we host the Oxford India Centre for Sustainable Development), so I wanted to do my bit for the future. And so it was that on Monday 10th December, 30 singers, and 2 organ scholars set off from Heathrow to begin a trip that would take in Mumbai and Goa, and see us giving concerts, working with hugely talented yet underprivileged local children, and absorbing Indian culture. 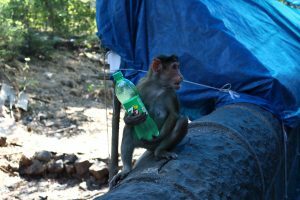 It may have been the lack of sleep on the plane, but the atmosphere on our journey from Mumbai airport to our hotel was distinctly quiet, with the group taking in the sights and sounds of this densely populated mega-city. From the bikes weaving skillfully between cars and trucks, to the elegant Haji Ali mosque surrounded by water, a vast outdoor laundry and the bright posters everywhere in Roman and Devanagari script, there were reminders everywhere that this was a city that mingled millions of people, of different faiths and cultures, living in close proximity. For one day, we were tourists, visiting the 6th Century Elephanta caves. This was on our first morning in Mumbai and our guide was truly brilliant at showing us round the caves, which mostly consist of monuments and iconography dedicated to the Hindu god Shiva, all carved out of the basalt rock. We also encountered some extremely cheeky monkeys – one of which pinched a bottle of soda from the group! 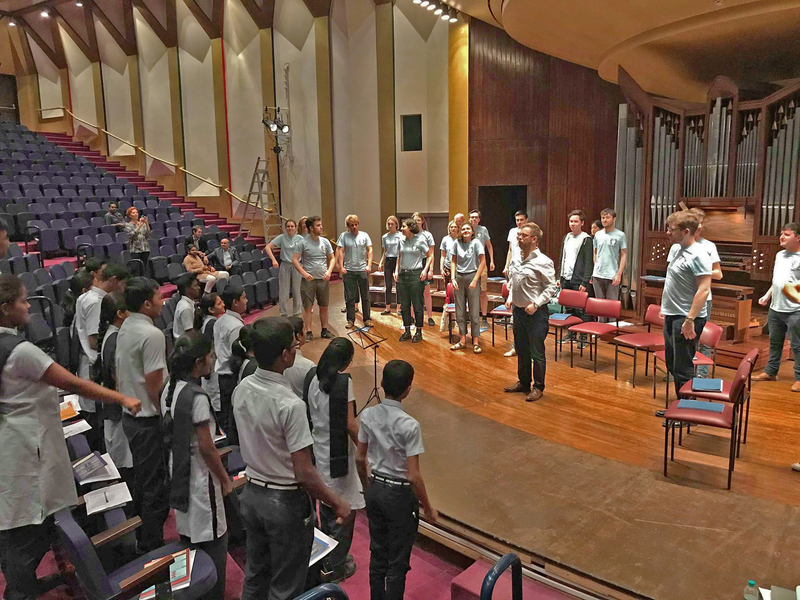 From a musical point of view, we gave three concerts in three very different venues: The first was in the National Centre for the Performing Arts in Mumbai: in a 1000-seat performance space featuring a pipe organ – one of only a handful in India. It was probably the most high profile concert the college choir has performed. 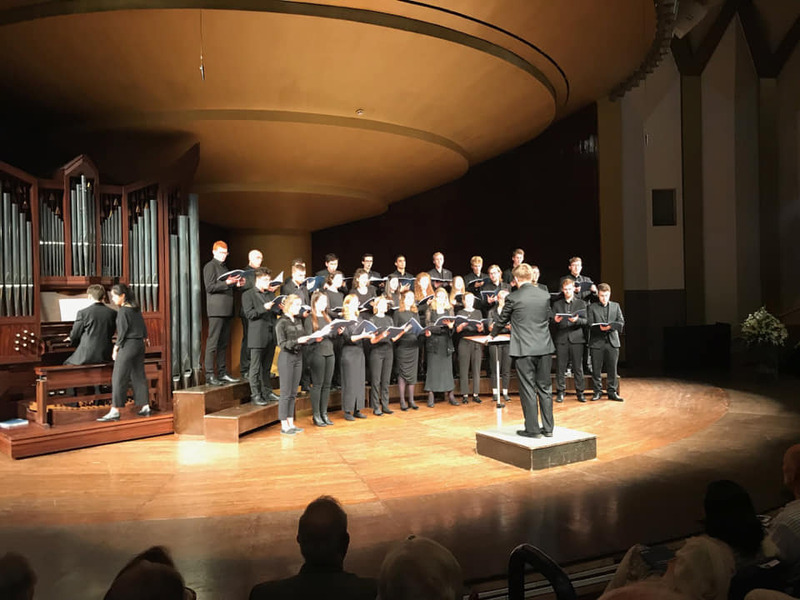 We were advised that bringing a concert of British Christmas choral fare would go down well, so there was music for the season associated with Oxford; King’s College, Cambridge; and the wider UK choral tradition. About 75% of the programme had never been performed in India, despite being hugely familiar in the UK. We had some challenging and contemporary pieces to start with, but eventually branched out into real Christmas favourites such as the Twelve Days of Christmas, Ding dong merrily on high, and Away in a Manger. These all went down a treat, with plenty of whoops and cheers – and not just from the large numbers of Somerville Alumni and supporters present! The second concert was at the Mehboob studios, in a barn of a Bollywood film studio which could well have been an aircraft hangar. After a concert of music on the theme of water (including works by Palestrina, Holst, and arrangements by several former Kings Singers), we were able to enjoy the sounds of traditional Indian instruments such as the tabla and santoor, the latter an Asian dulcimer, playing alongside a Western jazz trio in the open air – an intoxicating affair, especially when mixed in with the history of the studios, the glamour of the occasion, and the continual hum and beeps of the Mumbai evening traffic in the distance. 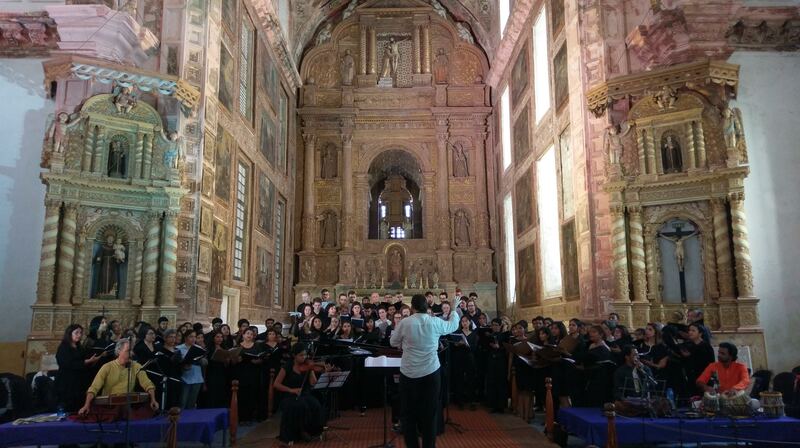 After travelling to Goa, the third concert was performed in the 17th Century Church of St Francis of Assisi, a building of warm pink stone beautiful enough to move a non-believer. There was no electricity, it was swelteringly hot, and we had several animal friends join us both physically and vocally during the concert, including pigeons, bats, dogs, and a rat that ran straight through the choir whilst we were singing. Coupled with the colour of the lights, and the glorious stonework the sound of the music was sublime. For all the prestige of NCPA, and the pizzazz of the Mehboob, hearing choral music in that church in Goa was deeply moving – choral music needs that echo going around, making the building a member of the choir. The undoubted highlights of the trip were our workshops with the charities Songbound and the Karta Initiative. 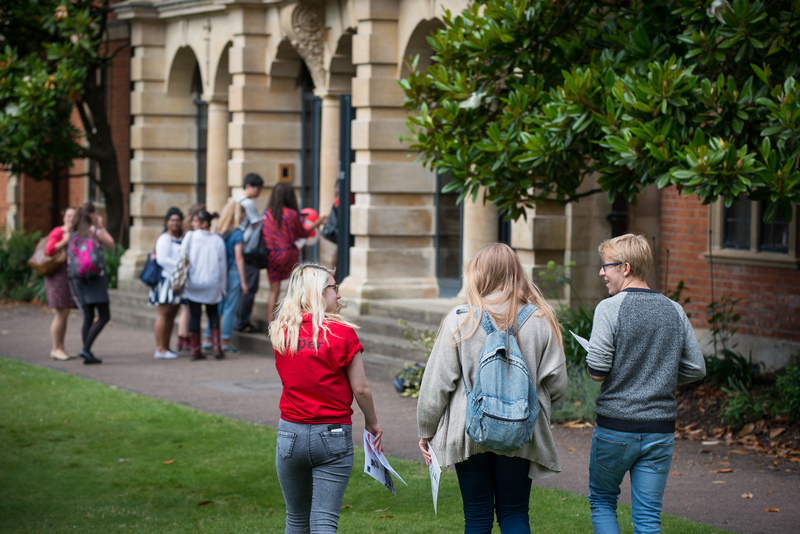 The latter was a cross-college effort with choir, tutors, and principal all combining to give 30 bright and personable 16-17 year olds a morning interacting with members of the University. We were struck by just how thoughtful and down-to-earth they were, and felt very moved by their 7 hour bus journey to arrive for a 10:30 AM event. The sessions that we had with the children from Songbound – which uses music to make a difference to the lives of some of India’s poorest children – will live long in the memory. We spent an hour in each session teaching them songs, learning from them, sensing their great joy at making music when the rest of their days were known to be troubling. At the end of each session, after teaching them Frère Jacques we sang a few songs for them. 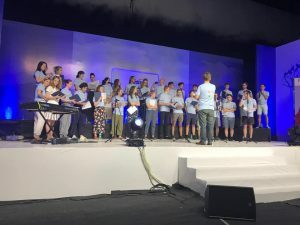 It was moving to see how the children felt a connection with the members of the College Choir whom they had been standing next to, and they showed their appreciation afterwards with lots of clapping. They didn’t sing along – they listened, rapt and engaged. There is much to take from this experience – a real college collaboration. Music is a powerful tool and it was a great pleasure for us to sing to and work with so many people from so many different backgrounds, all of whom seemed to enjoy the experience a great deal. 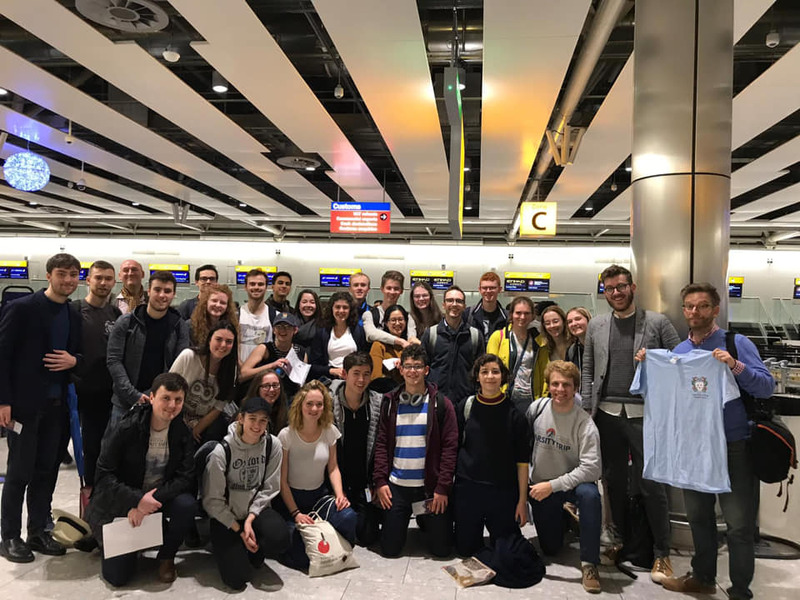 It was a pleasure for us to be part of such an extraordinary trip and to be able to act as ambassadors for both the College and wider University. As a college choir, we have arrived back with those memories and experiences firmly in our thoughts. The trip reminded us that Somerville is part of a global community, with alumni and well-wishers all around the world. Through the shared enjoyment of music, I hope that we strengthened the ties between Somerville and our friends in India. You can follow the Choir on facebook and twitter.